Join the Food ‘4’ Thought drop-in program. If you meet the criteria to join, the Food ‘4’ Thought program is an opportunity to ease your transition into motherhood fully-equipped with a network of moms and local resources on standby. What makes this program unique is that it is available to moms in the period of most change – both before and after birth, all the way up until baby is 6 months of age. Many programs for new moms in Durham typically run for much less than that – Babyville, for example, is only 4 weeks. The Food ‘4’ Thought program is a publicly funded initiative available to anyone who is pregnant and aged 26 or younger. Weekly sessions are moderated by a Program Support Worker who is responsible for creating an inclusive, safe and friendly environment for moms to support each other, learn about community resources, obtain advice from healthcare providers and receive fresh fruit and vegetables, milk and prenatal vitamins. There are seven drop-in sites in the Durham Region, including Ajax, Oshawa, Uxbridge, Cannington and Beaverton. At each weekly session an Early Childhood Educator is available to assist, so any moms interested in attending with their older children are welcome to join. 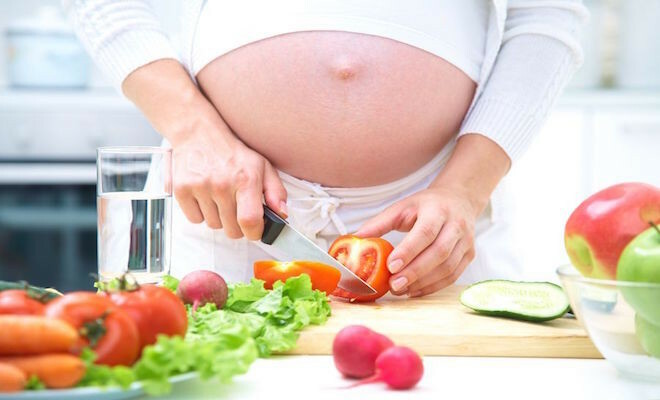 To register for the Food ‘4’ Thought program, you must be pregnant at the time of registration. More information about the program is available on the Girls Incorporated of Durham website.